When I was five or so, my favorite of my mother's boyfriends took me fishing. I had never been but he promised me it would be lots of fun. Within five minutes I had caught my first fish. He told me it looked like a rainbow trout, and I was very excited to see a rainbow fish. I ended up being very disappointed in it, and thinking it was unfair they gave such a pretty name to such an ugly-colored fish. 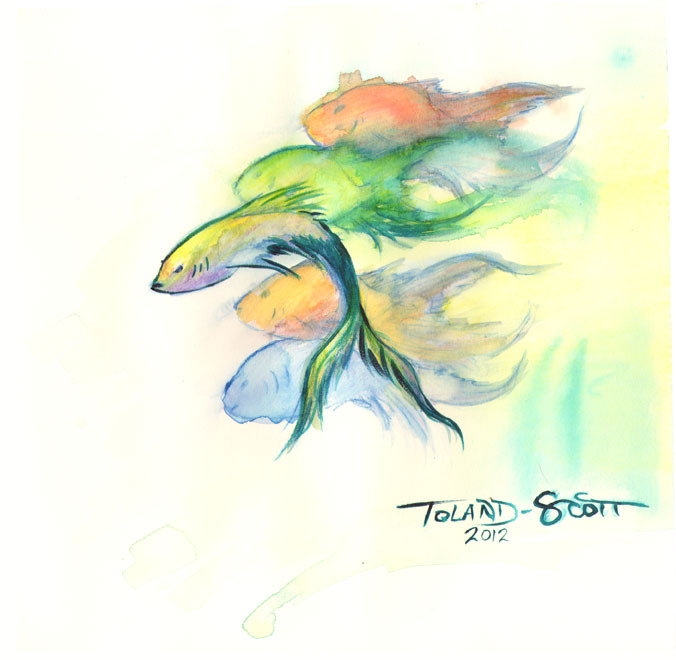 Tiffany Toland-Scott says: I think it should have looked like any of these fish. That would be an improvement. ~ Reply? Evelyn Henderson says: I agree about the fish colors...real ones are usually disappointing. Love your story. ~ Reply? Rusalochka says: Love the colors! Too bad the real thing are usually not how you imagine it :p	~ Reply?